Incorporates the most sophisticated technology. 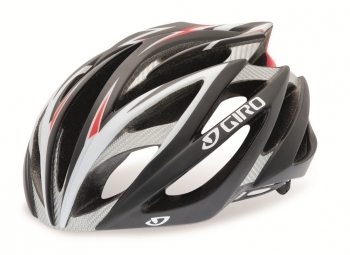 This is the best helmet Giro tested by teams discoverychannel, Rabobank and Phonak in the Tour de France. Construction: In Mold: The hard outer shell and inner EPS liner is molded together for added strength. The hull is lighter and better ventilated. In Mold Construction: The hard outer shell reinforced carbon and internal black cap are molded together for added strength. The hull is lighter and better ventilated.